Two decades ago, it was difficult to imagine that big and small companies would ever compete on equal terms. The Internet has now changed the business world. Today, every organization, regardless of the size of its advertising budget, can reach the target audience locally and globally. 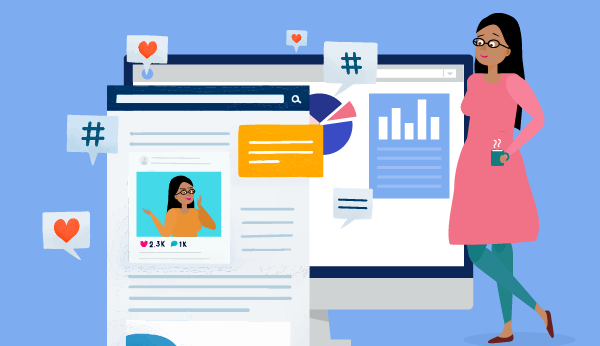 With the help of modern tools and technologies, it’s possible to craft an outstanding marketing strategy, which will take your small business to the next level. If you wonder what the best way to promote your small business in 2019 is, keep reading. Bill Gates once said, “If your business is not on the internet, then your business will be out of business.” And his prediction comes true. Today, if your small business doesn’t have a website, you have very little chance of to succeeding. No matter which industry you operate, you need to be thinking about growing your online presence. Your potential clients want to find solutions to their problems and often times the search starts online. So, give potential leads the opportunity to find you easier and learn more about your business and services. Ubersuggest. This is a free tool, which allows identifying the most profitable keywords. You can use it to build a quality keyword list while crafting a content marketing strategy. SupremeDissertations. Use this service to get original content for your website at a fair price. The more content you publish, the higher your website’s placement in Google is. TinyPNG. If you need to compress large PNG images, check this free tool. The optimized pictures will speed up your website and reduce bounce rate. Grammarly. Use this free service to proofread content. Google counts the text quality as an important ranking factor, so spell-check will help you improve the quality of content and to get your website on the top of the search. Another inexpensive way to promote your small business is blogging. You can add a blog to your existing website or start a blog at any other platform you like. Your task is to write high-quality articles, which addresses the most topical questions. Ethan Dunwill, content manager at HotEssayService, states, “Every blog entry should contain valuable information. This is the only way to build trust in a relationship with your readers”. If users respect your opinion as an expert in the niche, you will be able to influence their decisions. When you mention your services or company in the article, make sure that your statements don’t sound salesy. Yes, you need to convince your target audience that they urgently need your product. But you should do it invisibly. Upwork. This is the biggest freelance platform in the world. Here you can hire freelancers on literally any budget. Just set a price you are ready to pay per project or hour, and dozens of writers will submit their proposals. GrabMyEssay. Choose this service, if you don’t want to go through the time-consuming hiring process. Just place an order at the website, and professional writers with a background in your niche will craft an article. Millennials and Generation Z don’t like to contact companies via emails and phone calls. They prefer to communicate on social media. For this reason, if you target a young demographic, you should create business accounts on at least two social media platforms. Moreover, you should participate in the most popular groups and discussions in your niche. It will help you to build a reputation as a genuine expert. In addition, you should also reply to all the comments left by your followers to show that you value their opinion. Today, the demand for high-quality video content is extremely high. So, if you don’t have money to promote your small business with the help of the paid ad, don’t hesitate to take your smartphone and start shooting videos. Write a list of the statements, which you are going to discuss in your video. Read them aloud a few times before shooting. In the beginning, briefly explain what your video is all about. Try to intrigue the viewers and to get them to watch your video till the end. Edit video materials with the help of free tools online. Upload a final video on your website, YouTube, or any other platforms, which is the most popular among your target audience. No matter how tight your marketing budget is, you can always find an effective way to promote your small business online. If you don’t have money to hire professional marketers and copywriters, you may run your website, blog and social media profiles on your own. It’s not that challenging when you have access to dozens of tools, which facilitate the work and boost productivity. Bridgette Hernandez is a digital marketer at IsAccurate and freelance blog post writer. She has a Master’s degree in Anthropology, and she currently is getting her MBA degree from Golden Gate University. Apart from work, Bridgette loves visiting the exotic beaches, exploring the underwater caves, and taking the fabulous photos of nature.